On hand as the event's host, Jenna Dewan attended the Amazon Back-to-School Prep on Saturday(August 18th) at House in Pacific Palisades, CA. 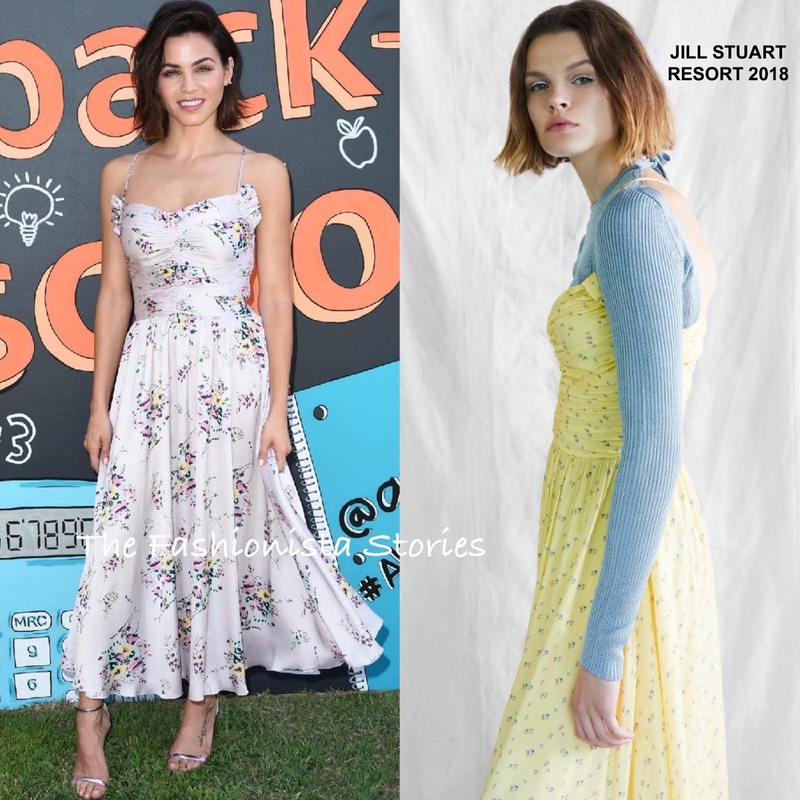 For the outside, summery event, she looked great in the JILL STUART RESORT 2018 'Kori' dress. The print on Jenna's dress is featured in the Resort 2019 collection but the actual dress silhouette is in this collection. Playing off of the pink floral hue, she added a pink lip to her beauty look. The NICHOLAS KIRKWOOD 'Mira' metallic sandals and a side parted layered cut finished up her look.